Do you want to know what the most successful Instructors are doing on Udemy? Have you considered the Competition in Your Niche? Do you know how to Structure and Price your Course based on what is actually happening on Udemy? I have made over $4,500 from Just Three Udemy Courses in 10 Months and Made my First $1,000 in my First Three Months - Now I am Using this Data to create MORE COURSES and MORE COURSES = MORE $ALES! The Key to Successful Market Entry is Research! Find out what your Competition is doing and then do some thing more Amazing to make sure your Course stands out! Do you find Udemy's search function difficult to manage? Are you sure you have identified every course related to yours? Who has the most Students? Which Instructors are you going up against? "Let me be clear, this course should be commissioned by Udemy and given to all instructors. I am convinced this would serve the students as well as the instructors. If you are an Instructor this will jump start your numbers be it dollars or pupils. This course is like Google Analytics for a web site and without it you are blind. Statistics in graphic form has been very successfully used by Professor Hans Rosling,you can see his presentations on TED. The presentation style is crisp,clear and to the point. Clear statements are made when "opinions" of the presenter are present. Simply brilliant Mr. Colley." Take a Detailed Review of the Udemy Course Landscape - Download Every Spreadsheet to do your own analysis! "John, We are blown away by your Course, Well Done!" "A Must For All Udemy Instructors - In this course John answered every question I had about pricing and positioning my course on Udemy along with a lot of questions I hadn't even thought of in the areas of number of lectures, length of individual lectures, course sub-categorization and much more. For example, I learned that courses priced just $2 more than what I have priced my course at, generate almost double the amount of total revenue on average. That is what I would call an important piece of actionable information. If you are an active Udemy instructor or are considering building a course for this platform, I highly recommend this course to you." If you have created a course or you are thinking of creating one, particularly on the Udemy Platform, this course is for you. "Very impressive course, and amount of work from John Colley (i.e data collection and analysis). This course is very valuable for instructors or instructors-to-be, in order to understand the Udemy landscape of all other courses, to pinpoint the perfect category for your course and price it wisely. I started John's course yesterday and already finished it and watched the key lectures several times." This course does NOT answer the question "How" to make a course but "WHY"?Category? Sub Category? Subject? Market? Competition?Pricing? Structure? I made over $1,000 in my first 10 weeks as a Udemy Instructor...you can too! 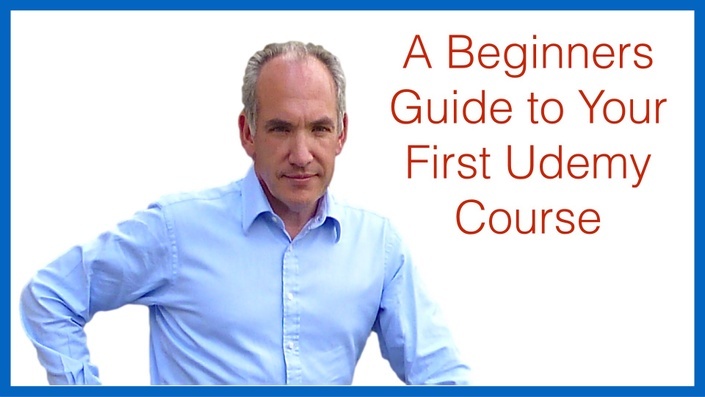 Get it right first time to give yourself the best chance of being successful on Udemy! Have I missed a topic you would like covered? Have a question relating to the course? Message me here on Udemy! John began his career as a British Army Officer, graduating from the Royal Military Academy Sandhurst in 1984. After five years service, John elected to change career and entered Finance. The next twenty five years saw him work for a series of major Banking Organisations (ABN Amro, Security Pacific, West DeutscheLandesbank and Societe Generale). In 2001 John co-founded his first Boutique Advisory firm, Pall Mall Capital and was involved as a co-founder of a second firm, IAF Capital in 2008. 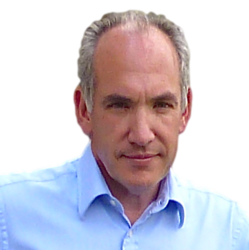 John specialises in the Technology Sector and has expertise in Startups, Business Strategy, Online Marketing, Capital Raising, Mergers and Acquisitions and Exits. John is a Graduate from Cass Business School (London) with an MBA with Distinction and is a Fellow of the Chartered Institute for Securities and Investments. I enjoy sharing my experience through teaching and creating insightful and actionable e-learning courses.